Concrete calculator estimates quantity of concrete in cubic feet and cubic yards necessary to order for pouring concrete slab, making concrete footing, foundation or concrete column. For estimating amount of concrete to purchase all input parameters must be entered as real numbers. Fractions must be converted to decimals. Inches values for width (W), length (L) and height (H) must be entered as real number means 3 inches = 0.25 feet; 6” = 0.5’; 9” = 0.75’ and so on. All computed parameters rounded to the whole bigger number. 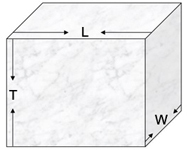 1 W – Width of concrete footing or slab in feet. 2 L – Length of footing or slat in feet. Input real numbers only. 3 T – Thickness of concrete slab or footing in inches. 4 H – Height of concrete wall in feet. 5 L – Length of concrete wall in feet. 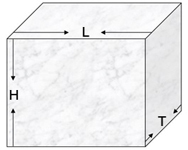 6 T – Thickness of concrete wall in inches. 7 H – Height of concrete column in feet. 8 R – Radius of concrete column in inches. 9 Adding an extra 5% as a waste factor is typical for majority of basic concrete projects. During complex tasks waste factor could be significantly increased. 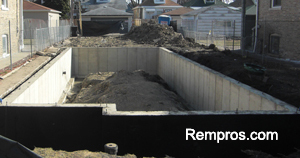 10 Quantity of concrete to purchase in cubic feet and cubic yards is an actual amount of already mixed concrete necessary to buy for performing certain concrete project. Concrete calculator is for a general purpose only and estimates concrete quantity with high accuracy only for basic projects. For complicated tasks, including making custom designed concrete shapes all calculation could be made after defining exact volume which should be filled with concrete and analyzing work complexity.